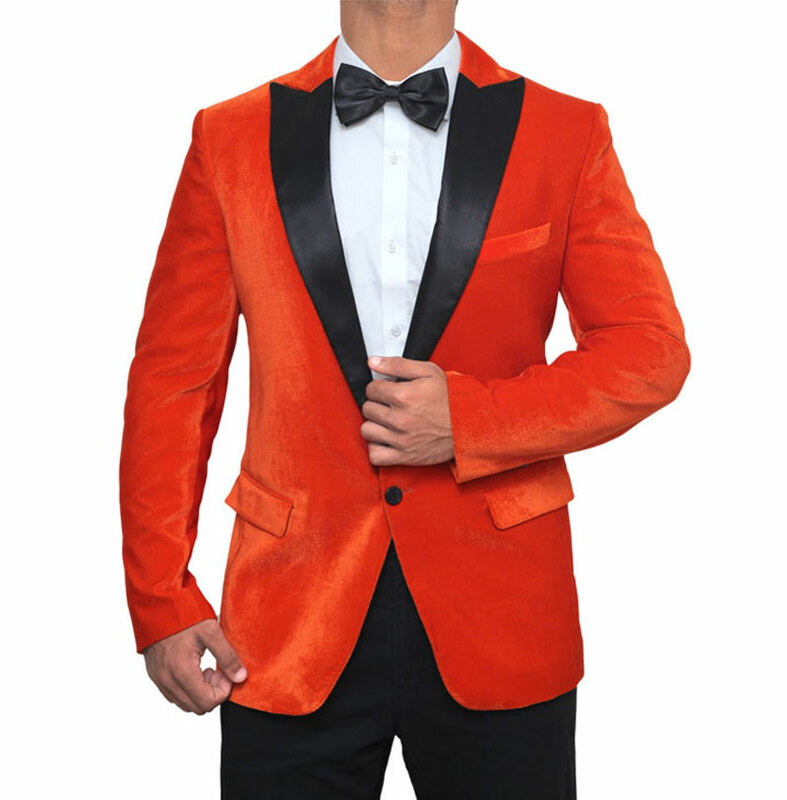 Improve your fashion and make a bold statement with this Kingsman Orange Jacket. 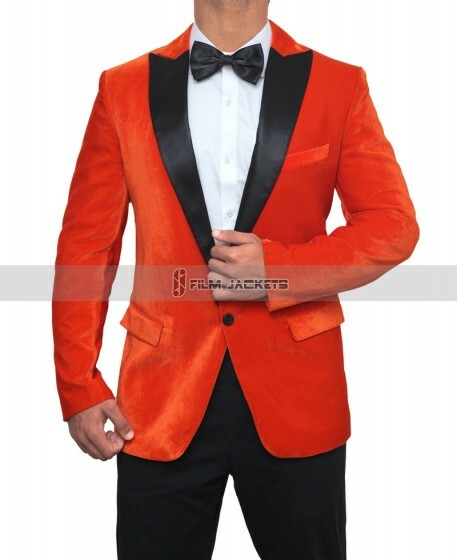 The package comes with attractive Eggsy Orange Tuxedo Blazer that features wide black peak lapel. It's one outfit to play like a spy and perform the mission with Style. Best deal for prom and other special occasions! Pockets: Two Inside and Three Outside. Kingsman Golden Circle is a sequel to the 2014 movie that has introduced much more entertainment and refined story. The new movie is packed with action and record-breaking impact while keeping the originality of the franchise. Everything is bigger and better that has undoubtedly inspired the audience and speaking of engaging visuals, who could forget the royal dressing of the characters? Each person is taking ride wearing contemporary suits and tuxedos but what if you get to try them out as well? 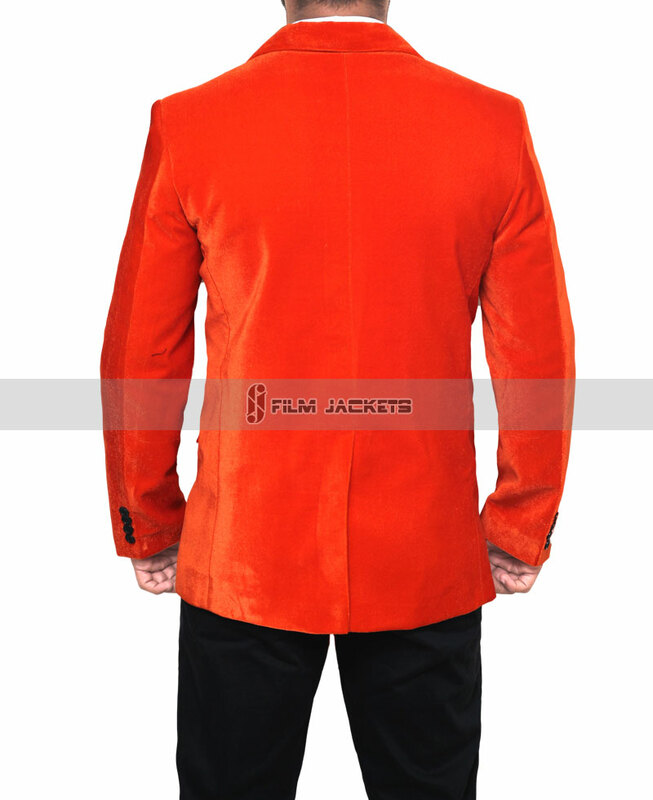 Fjackets has taken care of it and here we are introducing some epic varieties of Kingsman Suits worn in the movie. This collection will let you depict or fashion as a gentleman without breaking your budget. Taron Egerton, also known as Eggsy in Kingsman is a former street punk that later found himself hanging around with top organization spies. He left his abusing step-dad life to work with father-figure like Harry, who offered a helping hand when he was a little kid. After working along-side Harry, he became a fully-suited agent that is ready to rock-n-roll. This Orange Eggsy Tuxedo is a new getup as well as trend of this year. Fjackets has taken the liberty to create a similar style which is incredible to wear during prom, wedding and other receptions. If you want to go undercover, then this particular tuxedo is your pick. Ordered this jacket last minute asked for rush delivery customer service responded right away and assured jacket would make it and it did. Loved the prompt response. Jacket is outstanding! Fit perfectly have friends asking to use it for prom it’s so nice. I though it was a scam at first! But 5 days later I received it and it looks pretty good! The fit is perfect. I ordered a 40R and it fits perfect. Thank you guys!! if you are looking for a copy of the real Kingsman Jacket, its here, it look better than the photo, the jacket is beautiful and the price is correct. This is exactly what I was expecting especially from Fjakcets. Each and everything is on point. The collar is well made and adjusted according to the given size. The exterior of tux is soft and inner is comfy too. I ordered the pants also, and altogether it was a perfect deal for me, suits my budget also! When compared to the movie, I would say it is an exact match, from top to bottom. At first, I thought there was a bow tie until I received the order, that is okay. Fittin is good, not tight from the shoulder and arm-pit side because it usually happens with me on other jackets. Pockets are deep which I would say good. Giving it 5 ratings for good service and quality product. The tuxedo is above my expectation. I was looking for a fitting and catchy combination which is the reason I ordered this. Now, I finally got it and it looks superb on my appearance. I am so glad to shop here, everything is smooth and convenient. I like the jacket! It's VERY well replicated. In fact, it looks exactly like the actual thing. However, there are some pinching under the arms but that can be fixed. Overall, I'm in love with it! This one is a pick of the year for me. I was on budget lately and our upcoming anniversary is also on its way so I did not think twice and ordered the kingsman orange suit right away. My wife really loved it and hoping it will work out fine this year. Everything is good, the only thing I need now is bow. The color is good, fitting, yup that's fine too but sleeves are covering my whole wrist. Can't say it looks bad but it needs a little adjustment. I have a friend who is a tailor. 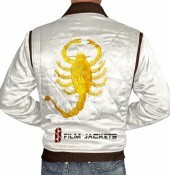 All I have to say is the tuxedo is charming, and Fjackets knows how to replicate movie collection. I was a bit afraid that the suit will not fit me but now I know My size.